With increasing awareness about various psychological disorders, there has been an increasing awareness about different innovative kinds of therapy. One such form of therapy is music therapy – something that not only helps with mental disorders but also physical ailments. The American Music Therapy Association defines it as, “Music Therapy is the clinical and evidence-based use of music interventions to accomplish individualized goals within a therapeutic relationship by a credentialed professional who has completed an approved music therapy program.” Simply put, music therapy is a way for humans to be cured with various techniques involving music. Music has been an integral part of everyone’s life. We all have different kinds of memories that we connect with and different songs to remind us about both good and bad experiences. In the recent past, extensive research has been done to understand the way music affects our brain. Therapists can use a combination of multiple aspect of music like emotional, aesthetic, physical and mental to help their clients according to their needs. There has been research to show that music has a positive effect on the foetus’ cognitive and language abilities. This research shows that extensive prenatal exposure to a melody induces neural representations that last for several months. So music can help us before we are even born! Music can also be instrumental in reducing stress levels. Music, especially soothing classical music, helps reduce our pulse rate, lower blood pressure, and reduce stress hormones like cortisol. This induces a state of deep relaxation. Have you ever watched or listened to a guided meditation audio? Along with the soft deep voice, the background music aids in blissful relaxation. Music therapy has been also increasingly used for people with depression and anxiety. This form of therapy can include playing, listening or creating music and may or may not be combined with talk therapy. This and the kind of music, of course, depends on the needs of the patient. Music used in a therapeutic framework is known to increase dopamine levels in the body and this, along with its relaxing qualities can greatly help patients with depression or anxiety. Another mental disorder music can help with is dementia. Dementia is caused by brain disease or injury and affects mental processes like memory, reasoning and personality. Music therapy is found to have helped with multiple aspects including memory recall, changes in mood and an increased pain threshold. This can prove to be invaluable for so many people! Music is also known to have several physiological effects and can help patients with diabetes. 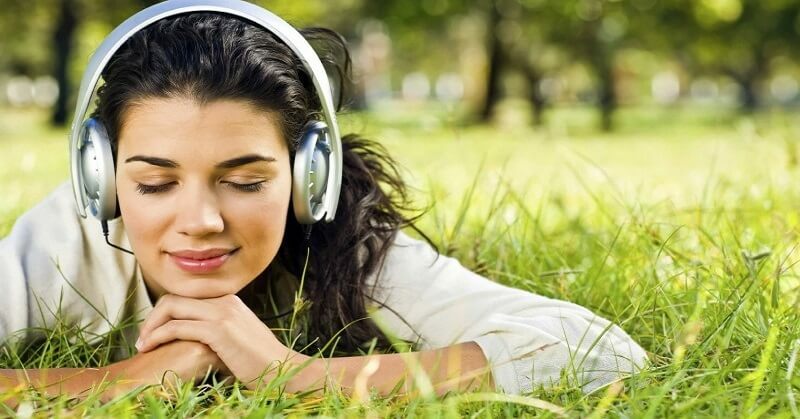 Stress is one of the major risk factors in diabetes and music can help manage stress. Music also improves blood circulation which means better glucose absorption. Some research has also shown that music can help stabilize one’s metabolism and thus help with secretion of insulin. Music does have several healing powers. It is also known that music can help decrease the use of medicines. But it is important to make sure that music therapy comes from a music therapist trained to help you with what you need. Music therapy might also not be a permanent solution to your problem but might significantly help. So if you think that you need help with something, do not shy away from seeking the opinion of a health specialist.